Mindful eating is our second article in our three part series on mindfulness . Mindful eating is a compassionate observation of your eating habits. I mention compassionate because it is a non-judgemental way of getting in touch with your way of eating. Mindful eating is being aware of what, why and how you are eating. It is the opposite of eating on autopilot. I am often asked if it is possible to become a mindful eater, and my answer is always “yes, as long as you see the benefit of the change”. First of all you need to know how you are eating now. Keeping a food diary is the best way of connecting with what you eat. You can record what you eat down on paper, on your electronic device or you may keep a photo record. Whatever method works for you. A food diary gives you immediate insight into your habits. I then promote a series of questions to encourage a mindful way of eating. We eat for different reasons. I refer to these reasons as drivers for eating. Physiological hunger is one of many drivers for eating, and ideally would be our basis for choosing to eat. The sensation of appetite and the ability to tune into appetite cues varies between people. Eating for You promotes an appetite scale of 1 to 5, with 1 being very hungry, 3 for neutral or satisfied and 5 for very full or over full. Below 3 you are connecting with sensations of hunger and over 3 you are learning to recognise feelings of fullness. See further tips on trusting your appetite. #2 If, I am not hungry, why do I want to eat? Our reasons for eating can be many—you might be hungry and choose to eat foods that are pleasurable, then eat past your satiety level. You may not be hungry but eat because of an emotional driver. Reflecting before eating, allows you to decide why you are eating. If you are not hungry, ask whether eating is the best way to resolve your current situation. For example, eating because you are stressed is not going to remove the cause of your stress. 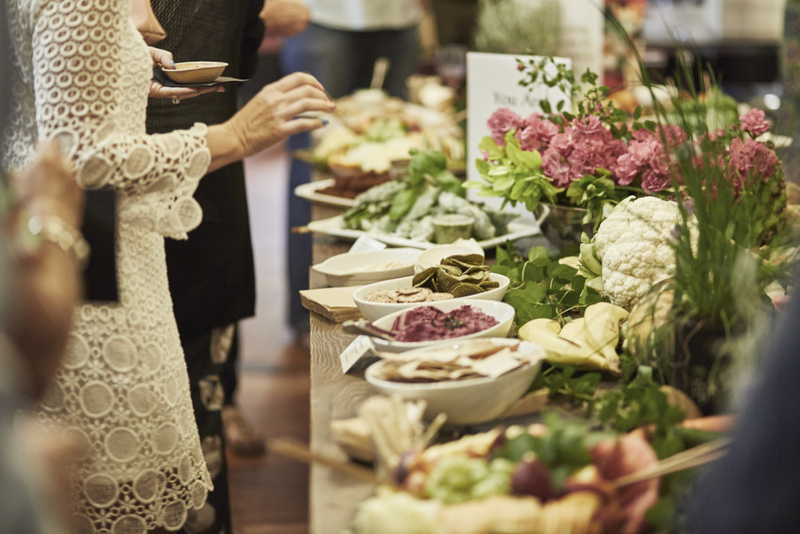 You can explore how to transform your reasons for eating—your drivers—in the Eating for You book and workbook, https://eatingforyou.com.au/p/book/ You are best placed to identify and transform the way you eat. You are best placed to identify and transform the way you eat. #3 I am hungry, what do I feel like eating? Your reflection has shown that you are hungry. The next question allows you to consider what you feel like eating. At home, we have access to our cupboard, refrigerator and freezer. Outside of the home, the choices are endless. You might find that when you a very hungry, that you will feel like foods that are high in energy—fatty foods or sugary foods because they are a quick fix for your hunger. But you will find that if you resist the temptation to eat ready-made snack foods, and prepare a meal from whole foods, your appetite will be well satisfied and your energy levels sustained. This leads us to the next two questions. #4 How much food do I need? The answer to this will be related to how hungry you truly are. I suggest starting with small serve and checking in with your appetite level. If you are still hungry, you can eat more. Once we put food on our plate we are most likely going to eat it all, even if we are already satisfied. #5 How do I feel during and after eating? The reason why I suggest resisting the temptation to eat ready-made snack foods is that once you start eating them, you will realise that you are not receiving the sustained energy that your body and mind need. You might feel tired and sluggish from eating these foods, for example. What am I choosing to eat? Is what I am eating working for me? Be kind and patient with yourself as you reconnect with what your body and mind need from food. Next week, is the final part of our 3 part series and explores living mindfully. If you are interested in establishing an enjoyable relationship with food, and really do want to stop eating confusion and the frustration that can accompany food choices, then I recommend taking a look at the Eating for You book. 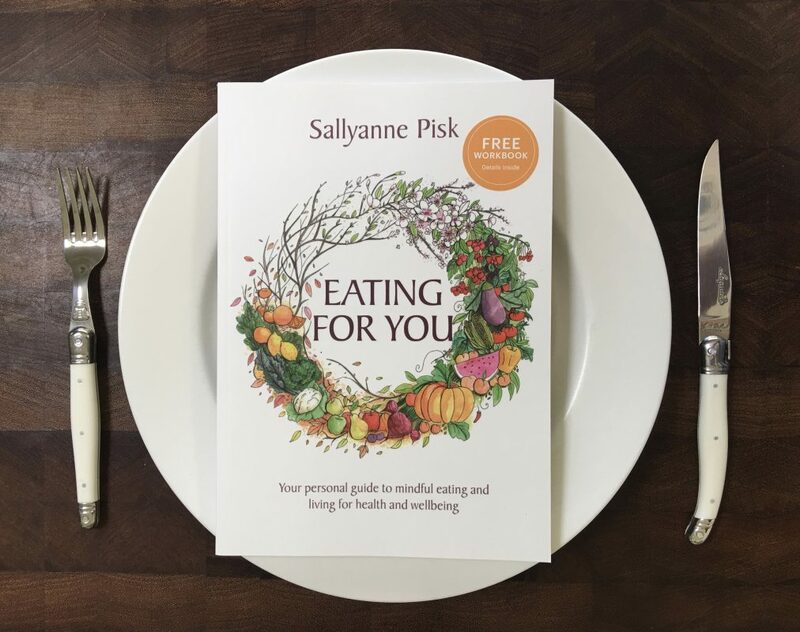 For a limited time, the Eating for You book comes with a free downloadable workbook.